See More Detail . . . The City Council of Sacramento California voted to enter negotiations with Westinghouse Plasma Corp. to possibly build a plasma-arc gasification plant that could conceivably dispose of the 146,000 tons of waste generated annually by the city. 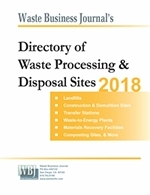 Currently, that waste is hauled to Waste Management's giant Lockwood Regional landfill in Sparks, Nev. Westinghouse Plasma is a division of Calgary, Alberta-based Alter NRG, an alternative energy developer. Plasma arcs have been used in research and industry for decades, but have not been deployed for large-scale waste disposal, at least in the United States. 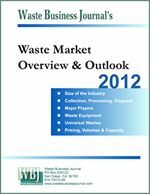 Westinghouse Plasma Corp., which developed the technology, has helped develop waste-to-energy plants in Japan, two under development in India, and one which is under development near Tallahassee, Fla.
© 2018 Waste Business Journal. All Rights Reserved.